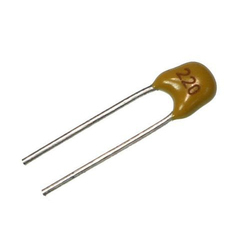 In order to keep pace with never ending demands of the customers, our company is instrumental in presenting an excellent quality assortment of Ceramic Capacitors. We are renowned and trusted enterprises in the industry, offering the best quality array of Ceramic Disc Capacitors to our esteemed customers. These products have attractive attributes. Our Company supplies a vast spectrum of Ceramic Disc Capacitors. Ceramic Disc Capacitors provided by us of best quality and reflect pleasing look as well. This is a very commonly used 0.1uf (100 nf) capacitor. Used for decoupling all sort of IC from power supply. This is a must to use capacitor for your bread board circuits. Place this capacitor in between VCC and Ground of every IC in your circuit. 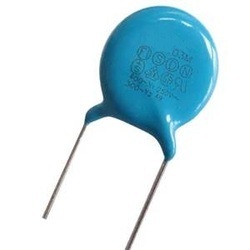 This capacitor has top marking 104 so some times it called as 104 capacitor. 100 X ceramic disk capacitors ( mixed values as shown in image) pack 1 box.